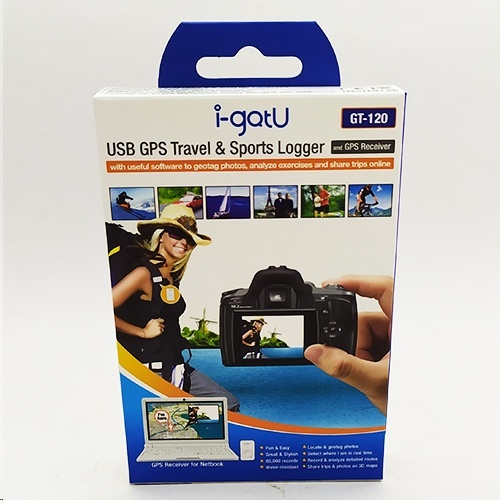 The Mobile Action GT-120 i-gotU USB GPS Travel Logger is a GPS Device that can record the trace of your journey, auto-add GPS information on the photos taken on your journey, presenting it in 3rd dimension and export in multiple sharable file formats. i-gotU not only is compatible with all digital cameras & camera phones available in the market, providing you the coolest GPS tracking gadget while saving you extra expenses on other equipments, but also is compatible with mainstream software Google Map/ Earth to present your precious trips live and fun! Moreover, i-gotU allows you to export in multiple file formats while integrating with popular web album Picasa & Flickr; you can create & share your live Blog with all your friends more quickly and easily. With i-gotU, organizing the pictures taken on your trip is more fun and easier. 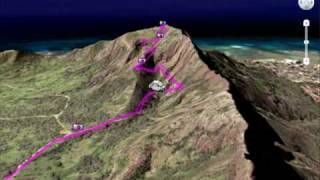 It comes with a free and extremely easy-to-use i-gotU Desktop software that brings back the lively trip experience by plotting the route and playing back the photos / YouTube videos with the exact location on Google Maps and Google Earth. What's more, sharing can't be easier! This animated trip journal can be exported directly to MHTML / KMZ format for sending via email to friends. It can also upload photos to Flickr or Picasa online. All i-gotU users are entitled to get min. 100MB free travel blog space on www.a-trip.com (@trip website). They can notify their friends via Facebook, My Space, Digg… etc. to come and see their wonderful trips online in 3D virtual reality view, map view or photo view. Share your own @trip journal or your favorite trips with your social networks on Facebook, MySpace, Digg, Delicious, StumbleUpon, Google Bookmarks and Yahoo Bookmarks....etc. Average acquisition time for cold start: < 35 seconds, hot start: < 1 seconds.